Bay Area Re-Roofing, Inc. is located in Belmont, California, and has been serving homeowners up and down the San Francisco Bay Area Peninsula for more than 45 years. We perform re-roofing and roof repair services for residential single-family homes and multi-unit dwellings. Our firm is licensed by the State of California as a Bonded Roofing Contractor under License #440362. We carry Workermans Compensation with State Compensation Insurance Fund and commercial liability insurance coverage with James River Insurance Company. We are also a member of the Better Business Bureau. Bay Area Re-Roofing has been a family-owned business since its inception in 1968. Randy Martinez, owner of Bay Area Re-roofing, Inc. Founder, Joseph Martinez worked in the roofing trade for more than 40 years before retiring in 1992. His son, Randy Martinez is now the current president of Bay Area Re-Roofing and brings 34 years of roofing experience to the company. Randy and his father incorporated the company in 1982. It now employs more than 10 workers, and replaces approximately 50 roofs each year in addition to roof repair work. 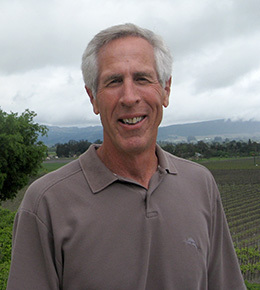 To further assist you is Project Manager Ron Beck with over 21 years of roofing experience at Bay Area Re-Roofing. In addition, we have a courteous and efficient office staff. Vicky, who is Randy’s wife, has worked with her husband for many years in the roofing industry. She handles the financial aspects and of our growing company. Vicky is there to take your phone calls, and is prepared to handle any clerical or bookkeeping questions which might arise.